Should You make a Claim with your Insurance or a Third-Party? Should you make a claim with your own insurance or with the person who caused the damage? So you suffered a loss. Maybe it was a car wreck, or a hail storm, or maybe it was a large scale fire to your ranch. There are many different types of losses for which people buy insurance. In many instances, when another person or entity may be responsible for causing the damage, the question will arise, should I file a claim with my own carrier? Or should I make them pay?! This article will lay out the differences between these two types of insurance claims, because as you will see, they are very different creatures. If you have suffered a loss – whether personal injury or property damage, or economic loss, such as a loss of income/profit to a business, for example – you should first look to your own insurance coverage. If the loss event is truly worth pursuing a recovery of any sort, then the quickest and easiest route will be making a claim under the policy that you have already purchased. The entire purpose of having insurance coverage is so you have easy access to liquid capital in the event of the predetermined loss event. Sure, you can always forgo making a claim on your policy if you believe there is another source of coverage under a third-party entity’s liability policy; many think this will prevent premium increases. But what you haven’t yet realized is the stark difference in making claim under a policy that you purchased; and making a claim under a policy that another person or entity purchased to protect them, not you. 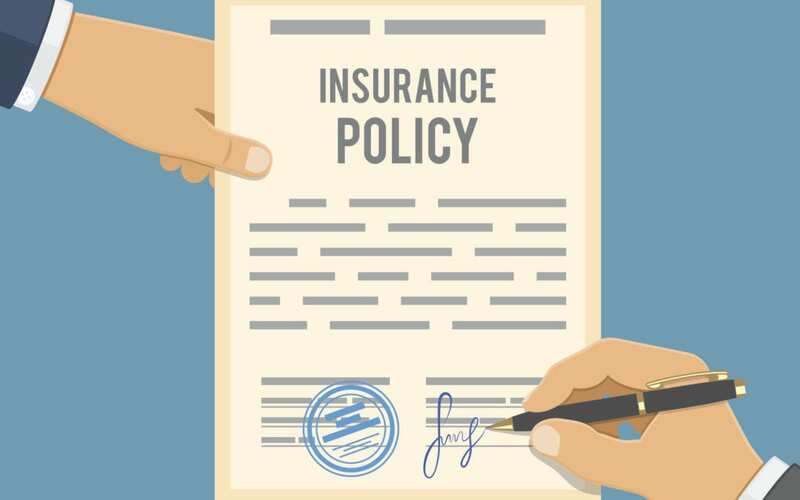 When you purchase policy, you have a contract with an insurance company. That contract says you agree to pay premiums and they agree to pay you a lump sum of money in the event of a loss. Therefore, when you make a claim under your own policy, you are asking the insurance carrier to perform its part of a contract. This is called a First Party Claim. When you make a claim under a policy that was purchased by another person or entity, you are not entitled to recovery as a matter of contractual obligation. Instead, you are asserting you are entitled to monetary recovery because the insured caused damage to you. This is called a Third Party Claim. In a First Party Claim, the insurance company has a contractual duty to cooperate with you, and to pay you for losses incurred under the policy. In a Third Party Claim, the insurance company has no duty to you, but instead has a duty to their insured to protect them from you! You will soon find that your dealings with an insurance company in a Third Party context will be much different than in a First Party context. The leverage you have against your own insurance company is much greater than what you would have in a third party claim. When dealing with your own carrier, you have a contract, and refusal to pay the claim could be a breach of that contract. What’s more, is that depending on how the carrier arrived at their decision to not pay (lack of investigation, etc. ), you may have a claim for Bad Faith, which is a tort and opens the door to punitive damages. In the Third Party Context, the leverage you have against the insurance company is much different. You are instead leveraging the Bad Faith Liability the carrier has to its own insured. You do this by outlining all of the evidence that places liability on the carrier’s insured, the person or entity you sued (or would sue if the claim is not paid). This forces the carrier to truly investigate the merits of your claim, and decide if a refusal to pay the claim would expose their insured to liability in court. Even though a third party carrier has a duty to protect its insured, do not think they will not aggressively defend the claim, poke any holes in the liability theory, hire their own experts to offer contrasting opinions on the cause of the loss event, and utilize every legal tactic their lawyers can come up with to defend the claim before paying it. In a First Party Claim, your insurance company is the one that is responsible for investigating the loss event, determining the cause of the loss, and assessing the damage. All of this may require outside expertise, such as engineers who can determine the causation of the fire, or differentiate between damaged caused by a recent store and pre-existing damage. Calculating the loss itself can be a task, depending on the nature of the property damaged. This may require expert appraisal. Your insurance company has duty to pay the expense for all of the investigation and appraisal; and you have the option to hire your own experts if you disagree when your insurance carrier. But the benefit is you get to sit back, relax, and then make a move. Not so in the Third Party context. In a Third-Party claim, you are the one responsible for gathering all of the evidence and explaining how exactly the loss occurred, who is responsible, why they are responsible, and how much money was lost as a result. The third party carrier of course will investigate the matter themselves, but they have no obligation to share their findings with you until you file a lawsuit and commence legal discovery – and even then they will challenge your requests. You are the prosecutor in a Third Party claim. It all falls on your shoulders. You know that their insured is responsible for the damage. But now you must be able to prove it in a court of law. Hopefully now you see the difference in contexts between First-Party Claims and Third-party insurance claims. In our next article, we will discuss what happens when you pursue both claims at the same time (you make a claim with your own carrier andsue the person/entity responsible for the damage and seek payment under their policy). There we will look at how the law of Subrogation comes into play. Travis Charles Smith is an experienced civil trial lawyer in Oklahoma City, Oklahoma, who practices in the areas of real estate insurance claims, general liability insurance coverage, and in cases involving large scale damage to farms, ranches, and land.